Microsoft’s new console has come under heavy fire ever since it was revealed that Call of Duty: Ghosts will run at 720p on the Xbox One while on the PlayStation 4 it will manage at 1080p. According to Mark Rubin from Infinity Ward, the reasoning behind this aspect cannot be boiled down to a single factor. 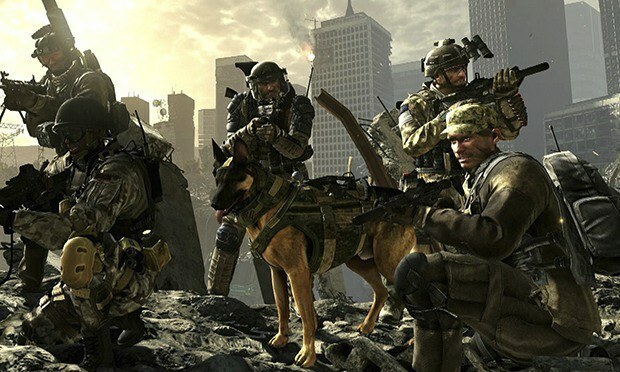 Speaking with Eurogamer, Rubin, the executive producer at Infinity Ward, said that the studio has had hardware prototypes for both consoles “for a long time”. It isn’t that the developers couldn’t manage to make the game support 1080p on the Xbox One. Instead Rubin pointed out that the issue lies with the unique operating system on the consoles and their software environment that “can change on the fly”. Rubin then added again that the choice of Ghosts featuring only 720p on the Xbox One is not one made because of “a lack of effort” from the team. “It’s very possible we can get [future games] to native 1080p. I mean I’ve seen [Ghosts] working at 1080p native. It’s just we couldn’t get the frame rate in the neighborhood we wanted it to be,” Rubin explained. Looks like Call of Duty: Ghosts was the guinea ping for Infinity Ward’s approach to next-gen on the Xbox One. The studio probably has learned much from this installment and future titles may yet hit the 1080p mark on the Xbox One. Call of Duty: Ghosts launches on November 5 on the PS3, Xbox 360, Wii U and PC. Next-gen versions for the PS4 and Xbox One will release on November 15 and November 22 respectively.